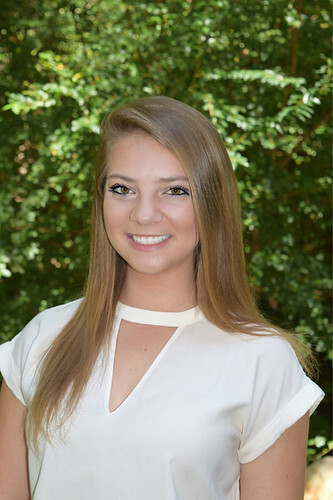 Auburn University supply chain management senior Lauren McGlon of Montgomery was one of five students nationally—and the first in Auburn history—selected for the prestigious AWESOME Excellence in Education Scholarship. AWESOME—or Achieving Women’s Excellence in Supply Chain Operations, Management, and Education—is the supply chain’s most active and prominent organization focused on advancing women’s leadership in the industry. As the scholarship recipient, McGlon recently participated in the Council of Supply Chain Management Professionals EDGE Conference in Nashville. “Lauren is laser-focused on what she wants to do,” said Davis-Sramek, who nominated McGlon for the scholarship. “She’s ambitious, she’s got a great work ethic and she is exactly the kind of student that any organization would like to have on board. She’s a great leader in terms of highlighting women in the program and women in the college. McGlon is no stranger to industry, either. This past summer, she interned at Freeport-McMoRan, the second-largest producer of copper in the world, at its headquarters in Phoenix, Arizona, in global procurement. Auburn’s Supply Chain Management program, which requires internships for graduation, recently earned a national No. 3 ranking by Gartner. Auburn supply chain management senior Lauren McGlon was one of five students nationally—and the first in Auburn history—selected for the prestigious AWESOME Excellence in Education Scholarship.